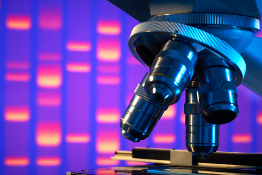 Genetic Diagnostics based on DNA studies has experienced a considerable advance during the last years as a consequence of the identification and characterization of a high number of genes involved in human pathology. 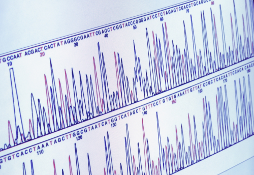 Nowadays, the analysis of the DNA is part of the studies included in the characterization of numerous pathologies. These analyses are performed with a clinical goal (diagnostic of the pathology, election of treatment, etc. ), as well as basic research technologies. Secugen is interested in both aspects of the DNA Sequencing applications and, therefore, develops basic research activities that directly translate into applications useful to the clinical field. This dual activity confers us great flexibility and capacity of adaptation to individual needs and the possibility to contribute with scientific advances. Our activity has a special impact in the area known as Rare Diseases. The European Union defines Rare Diseases as those diseases with a death or chronic invalidity risk that have a prevalence lower than 5 cases per 10.000 individuals. 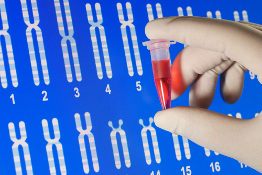 Rare diseases have in many of the cases a genetic origin. It is calculated that there are, at present, between 5.000 and 8.000 different rare diseases that affect between the 6 % and the 8% of the population, that is, between 27 and 36 million people in the European Union. The lack of experts, information, investigation, and treatment that frequently is associated with this kind of diseases, may lead to a situation in which affected people do not benefit from the sanitary resources, establishing serious difficulties to those affected people and their relatives. We have the compromise of developing research in these infrequent pathologies to provide new and better methods for their diagnostics and more useful information. In Secugen we are working to make available that necessary first step to improve the quality of life of those patients and their families. Due to our philosophy of continuous innovation, in Secugen, we are open to any proposal of collaboration that contributes to get further and deeper insight into the knowledge of the molecular and genetic bases of the diseases. Do not hesitate to contact us if you think that we can work together or if you need technical advices in relation to genetics diagnostics based on the screening of candidate genes through re-sequencing techniques.